FUGITIVE Kinahan cartel lieutenant Liam Byrne has been tracked down to an English mansion bolthole. The drug dealer fled Ireland a year ago as the bloody Hutch-Kinahan feud – sparked by the 2016 Regency Hotel murder of his brother David – raged. They snapped him watering the flowers in his garden – the first time he has been photographed since the Herald found him in Rome for Liverpool’s Champions League match against Roma in May. Byrne fled his home in Crumlin, south Dublin, after a major crackdown by the Garda’s Drug and Organised Crime Bureau, along with the Criminal Assets Bureau. Byrne’s well-to-do neighbours there include Premier League footballers, entrepreneurs and millionaire professionals. The Dublin thug and his family have been raising eyebrows in the Birmingham area recently with their unexplained wealth and the steady stream of expensive cars at their home. He had been believed to be moving around Britain and spending time in Dubai, where his friend Sean McGovern has been living since fleeing Ireland following the cartel murder of Noel ‘Duck Egg’ Kirwan. However, the Sunday World revealed yesterday that the 37-year-old has been enjoying a luxurious family life in England in one of the most exclusive suburbs of Birmingham. 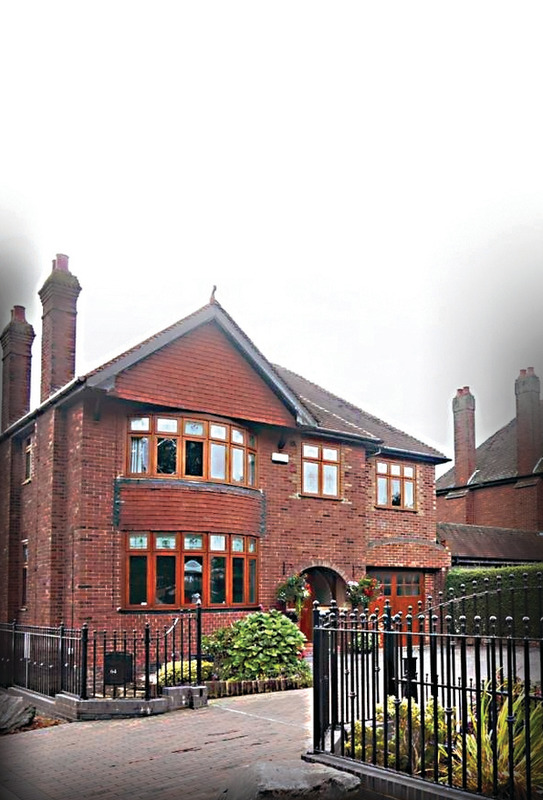 His mansion is a stone’s throw from the neighbourhood where his sister Joanne and his brother-in-law Thomas ‘Bomber’ Kavanagh and sister Joanne Byrne live in gated splendour. Drug dealer Byrne and members of his extended family and friends are due before the High Court tomorrow for the hearing of the CAB’s case against them will be heard. However, it is unlikely Byrne or his wife Simoan will return to Ireland to contest the seizure of their home in Raleigh Square, which has doubled in size and undergone major renovation fitted with a panic room, a bar and a Jacuzzi s in recent years. The CAB is also going after murdered David Byrne’s home on Kildare Road and the pimped-up house of McGovern. McGovern was a business partner in Byrne’s LS Active Car Sales, which officers believe was used as a front to launder the proceeds of crime. 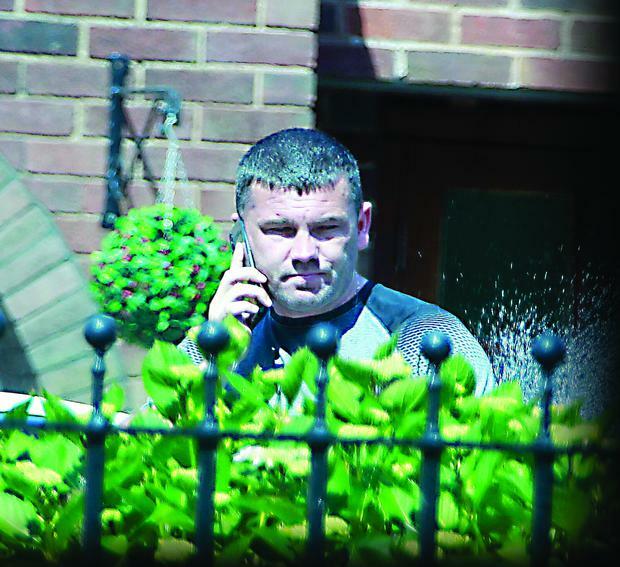 Byrne was revealed as a top target of a €100m clampdown on organised crime after his brother’s murder. Only a month after the lavish, Mafia-style funeral but just a month later , officers from the CAB raided the Raleigh Square property. Detectives, with back-up from specialist units, had to use an angle grinder to get into the house during a raid and discovered a panic room, a whirlpool bath Jacuzzi and drinks cabinets stocked with fine champagnes. A month after the lavish funeral of David Byrne, his brother Liam was woken from his sleep to the sound of an angle grinder cutting through his reinforced front door. Byrne was so incensed by the CAB raids that he hissed and spat at officers and launched a foul-mouthed tirade about those he believed were the cause of his downfall. His business, LS Active Car Sales, was being raided at the same time and a fleet of high-powered vehicles worth in excess of €1 million were removed on trucks. Tomorrow, the CAB is expected to present its case for forfeiture of his and his associates’ property to the High Court. It is expected that Byrne’s sister, Maria, will claim to be the real owner of both her brothers’ homes and say she bought them with compensation funds. While the Byrnes have been under investigation by the CAB for some years, it is understood that the probe was given the utmost priority after the crass display of wealth at David Byrne’s funeral. Cars seized from Byrne and business partner McGovern’s business were sold a number of months ago. Meanwhile, six members of the Byrne clan who wanted taxpayers to foot their lawyers’ bill for fighting the CAB lost their applications for free legal aid.